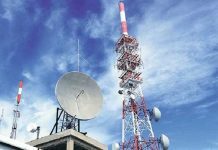 ISLAMABAD: The Economic Coordination Committee (ECC) of the Cabinet on Tuesday approved a proposal of Ministry of Energy (Petroleum Division) for the supply of up to 25mmcfd additional gas from Adhi Gas Field to Sui Northern Gas Pipelines Limited (SNGPL) to meet the existing gas demand on the system. 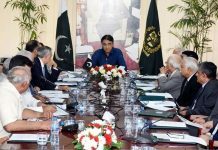 The committee, headed by Finance Minister Asad Umar, also discussed the proposal of Ministry of Energy (Petroleum Division) for fuel supply agreement between Pakistan State Oil (PSO) and State Oil Company of Republic of Azerbaijan. The committee advised the Ministry of Energy to carry out further consultations with stakeholders, including Ministry of Commerce and Public Procurement Regulatory Authority, before a final decision on the matter. The ECC on the occasion reviewed the demand and supply situation of urea in the country. It directed the Ministry of Industries and Production to chalk out a plan for continuous and smooth operation of urea plants in the country throughout the year. The exercise, ECC observed, would help ensure the availability of sufficient stocks of the fertilizer to meet the demand of the farmers’ community. 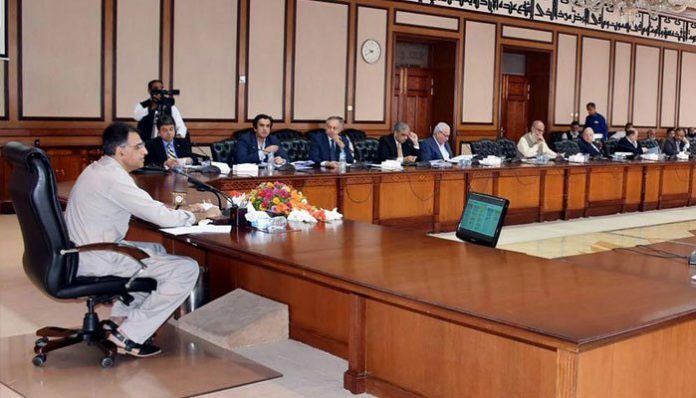 The ECC, while considering the proposal regarding the provision of funds for personnel-related dues in the Pakistan Machine Tool Factory (PMTF), directed the Ministry of Industries to share with the committee a strategy to revitalize the PMTF. ECC observed that the institution had done a great service to the engineering sector and had the potential to effectively carry on this role, for which it needed to be strengthened. The Ministry of National Food Security and Research on the occasion submitted an update to the committee with regard to export of public sector’s surplus wheat/wheat products.